While there's a steady stream of new phone releases almost every day, one category that usually doesn't get specifically targeted is the elderly. In the last couple of days though we've seen releases from Philips and Mitashi that are specifically for senior citizens. 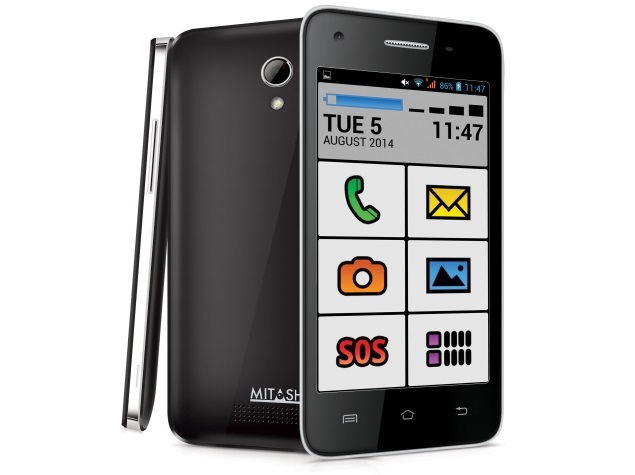 The Mitashi Play Senior Friend is an Android smartphone, and the Philips Xenium X2566 is a feature phone, but they have some things in common - simplified interfaces, large, easy to read buttons, and an SOS button for emergencies. Of course, some older people are perfectly comfortable with the latest iPhone models and Android flagships, and if that's the case then there's no reason for them to look at other handsets. Launched in December last year at Rs. 2,990, the iBall Aasaan 2 is probably the best known handset in this category. The first iBall Aasaan was launched in 2011, and is basically has all the features that this category of phones stands for - an easy to read screen with large fonts, along with large buttons that can be easily read. The Aasaan had limited functionality on purpose, and even came with an SOS button to call emergency contacts with one touch. The iBall Aasaan 2 is very similar, but added features like music playback and added storage. With a dedicated hardware button for a torch and large physical buttons along with the SOS button to call five user present numbers and play a siren sound, it remains a senior friendly phone. Though most online sites seem to be out of stock we have seen a few units at retail outlets, so it might not be too late to get one if you want to. This phone launched only recently at Rs. 3,800 but this feature phone is very similar to iBall's offering. Its buttons look smaller but there is a gap between each button, so mistyping a number should be harder. It also has a dedicated SOS button, which calls three user defined numbers on being pressed, and there are physical buttons on the phone to make the text on screen bigger or smaller depending on the user's needs. Philips also claims that the battery has a 24-hour talk time, and 1,128 hours of standby time, which means that users don't need to remember to keep charging it all the time. This Magicon feature phone is also a fairly standard senior citizen device - a simple interface, large physical buttons, and a high contrast screen with large fonts. 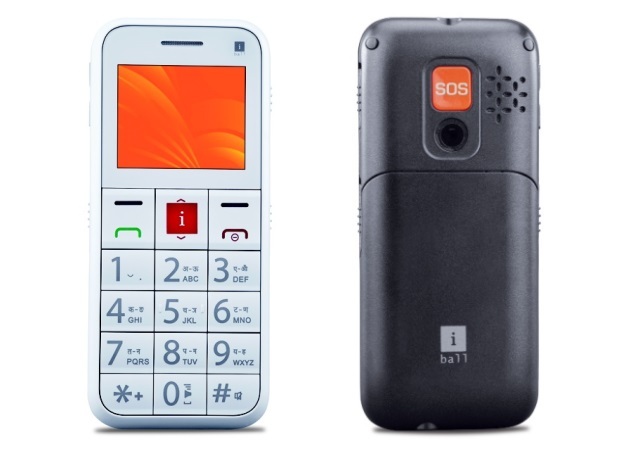 An SOS button calls user defined emergency contacts, and this dual SIM phone is largely stripped down of other features. What sets it apart is that a pull out tab at the bottom of the phone reveals a small magnifying glass - so the phone can be used to check a menu, or look up a number on a card when the text is too small for the elderly. It's an unusual idea, but you can see how it would be useful. This phone is out of stock on most online sellers, though we did find a few that are still offering it at Rs. 1,499. This phone does not really seem to stand out from other feature phones - the buttons do look a little bigger than normal, but not significantly. The screen also seems to be a normal 2-inch TFT, without large fonts for easy reading. However, it does prominently feature an SOS button, which can trigger a siren and simultaneously call and SMS 3 user defined numbers. Available online at Rs. 1,099, the Swingtel is clearly the budget option in this category, but we'd probably recommend putting down a little more money, because the readability of that screen with normal sized fonts will be difficult for most elderly people who typically need reading glasses. Launched just this week, the Play Senior Friend from Mitashi is the only Android smartphone we found that seems to be catering to senior citizens. It is running Android 4.4 and we were initially concerned that a touchscreen might make operating the phone harder for the elderly, but Mitashi has customised the interface to make it easy to use. 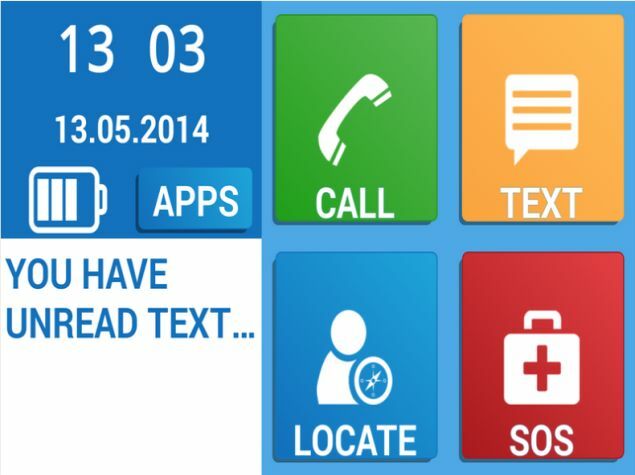 The phone has a highly simplified home screen that shows the battery and network indicators in a large size, and has huge colour coded icons for features like calling and messages, gallery and SOS, so even if the person using the phone can't see the screen clearly, they can still use the device. 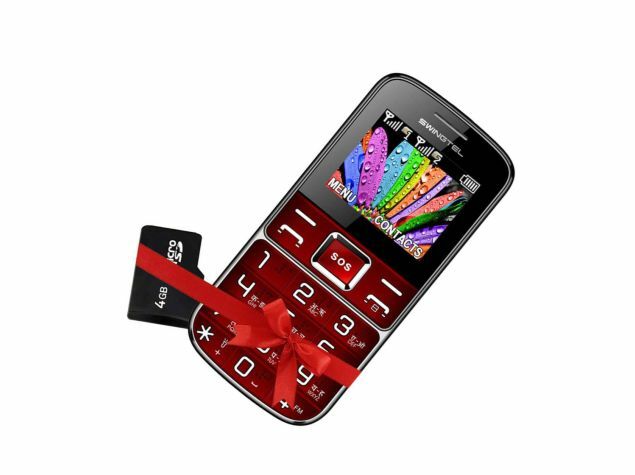 This dual-SIM smartphone is powered by a 1.2GHz dual-core processor alongside 512MB of RAM. It has a 4-inch IPS display and comes with 4GB inbuilt storage. It sports dual cameras and supports expandable storage, however, no maximum supported capacity has been mentioned. The battery capacity of the smartphone was also not listed, which could be an issue - frequent recharging would be an inconvenience, particularly for people with limited mobility. Despite the huge number of new releases, we could spot only a few handsets on the market that are catering to senior citizens. However, if you've already bought an Android phone for an elderly relative, getting it to work like the Mitashi Play Senior Friend is also an option. You can download a free launcher, such as Wiser or Simple Senior Phone from the Play Store, and set it as the default interface for the phone. These launchers are meant for the non tech-savvy users, and Simple Senior Phone in particular is very well thought out, with extra-large fonts and buttons that are also colour coded. In case you know of any other phones or apps that make smartphones easier to use for senior citizens, let us know via the comments.